ChessBase 11 comes with a database of nearly four million chess games spanning the years 1475 to the third quarter of 2010. But new games are being played all the time. How do you get new games for inclusion in your ChessBase database? This is your control panel for downloading database updates from ChessBase’s server. You’ll note that everything in in half-tone (greyed out) in my illustration; that’s because I haven’t logged in yet. 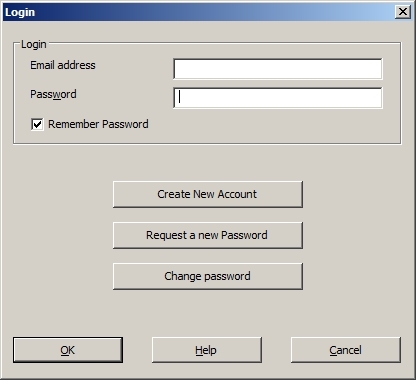 If you’ve already registered as a player on ChessBase’s Playchess server (and selected “Remember password”) your login information will already be displayed; all you’ll need to do is click “OK” to proceed. If you haven’t previously registered on Playchess, you can do so now by clicking the “Create New Account” button and following the prompts; it’s no more difficult or time-consuming than signing up for a typical Internet message board membership. After you successfully create your new player ID you’ll be able to download game updates. There are two panes on the left-hand side of the screen. The top pane lists the different game update packages available (you may or may not see all of the options shown in the illustration; I’ve been with ChessBase for a loooooong time, so all of the game update packages are displayed when I log in). To be able to download additional games, you’ll first need to click on a package to highlight it, then click the “Activate product” button in the ribbon of buttons near the top of the screen. 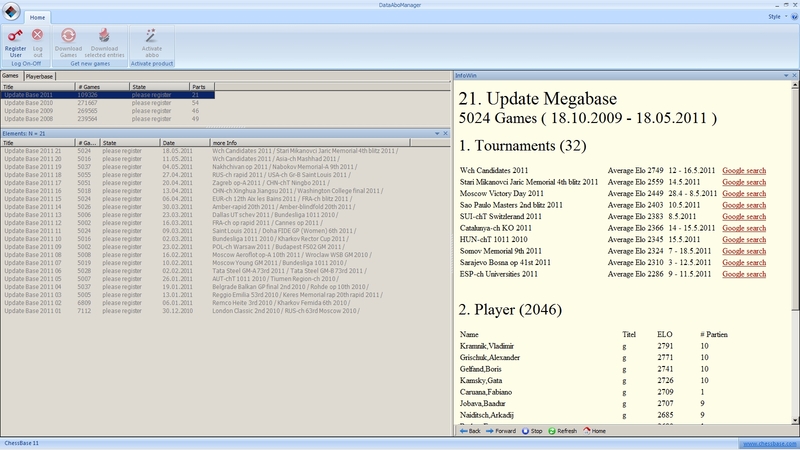 For example, if you have Mega Database 2011 (either as part of a purchased ChessBase 11 Mega package or as a separate purchase), you should click on “Update Base 2011” to highlight it and then register your Mega Database by typing in the registration number located on the inside of the Mega Database’s DVD case (it’s on the lower right after you open the DVD box, printed on a white background about a half-inch below the DVD itself. You’ll need to do this just once, by the way, not each time you log in to download games. After you’ve registered your database product, the game packages in the lower pane will be available for downloading. In the above graphic, I’m registered for the “Update Base 2011” package (which is highlighted in the upper pane). The lower pane shows the available game packages. These are listed in reverse numerical order, with the newest package displayed at the top of the list (the date of a particular game package’s release is also noted). The server keeps track of the packages you’ve already downloaded. In the above illustration (which I made this morning when I logged in), you’ll notice that the server “remembers” that I’ve already downloaded packages 1 through 19, and that two newer packages are available (both marked “Not loaded”). …and then download only the highlighted packages by clicking the “Download selected entries” button. This feature is really useful for going back and re-downloading specific game packages. 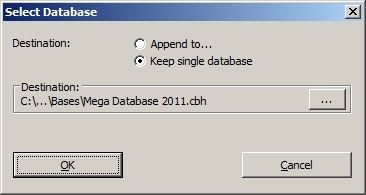 lets you automatically merge the games from the individual packages into your master database (such as Mega Database 2011) by selecting the radio button next to “Append to…”. The dialogue will display the name of the database into which the games will be merged (as well as the abbreviated drive path to it); if you’d rather merge the games into a different database, click on the rectangular button off to the right (which displays three dots), and a new dialogue will appear which allows you to navigate to a different database. Please be aware that it takes longer to merge the games into a master database than it does to just download them as individual databases. I don’t mean “a minute or two longer”; I mean “go to the kitchen and grab a cup of coffee” longer. The exact length of time depends on the number of databases you’re downloading and the speed of your computer hardware (such as your hard drive access speed). So if you’ve got one foot out the front door on your way to work, that’s not the time you want to be downloading and merging games into your master database. I spoke to a ChessBase 11 user just yesterday who mentioned his preference for downloading the individual update databases and manually merging them into their own database, separate from Mega. He explained that this would make it easier for him should he need to reinstall the Mega Database files later; he could just reinstall Mega from the DVD to his hard drive and not have to deal with merging the game updates, since they’d still be located in that second database. 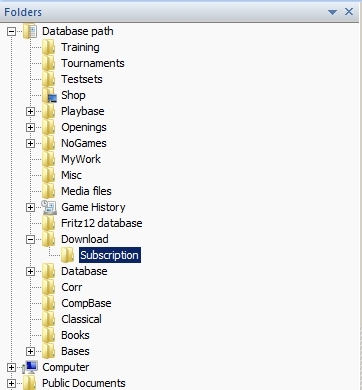 A cool part about the process in ChessBase 11 is that you have the choice to go many ways with this: you can merge the games automatically into your master database or download them as individual databases; if you go the latter route, you can opt to keep them as individual databases, merge them into their own database for updates only, or manually merge the games into Mega Database when time permits. There’s no single iron-clad “right way” to go – the choice is entirely yours.